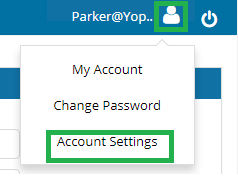 First, click your username on the top left corner of 6Storage dashboard and select Account Settings. On the Account Settings page, click Required Fields tab. Search for "User Documents" and click the checkbox on the first column to enable the function on admin portal. If you want to enable this function as mandatory on admin portal, also check the checkbox on the second column. Once enabled, the User Documents function will be available on move in page. To upload documents, click Choose Files button and select the required file. Note: You can also upload user documents on centralized lease page.